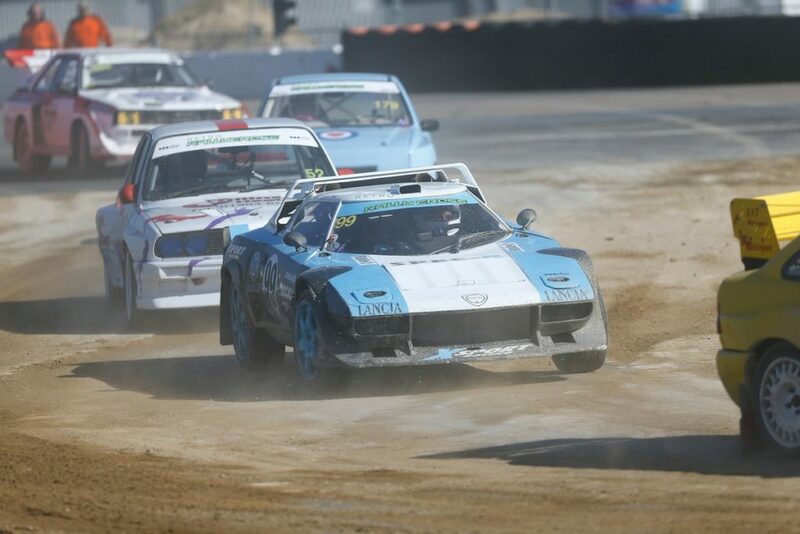 Last weekend the first round of the British RX 2019 took place. The opening season was organized on the famous Silverstone track. 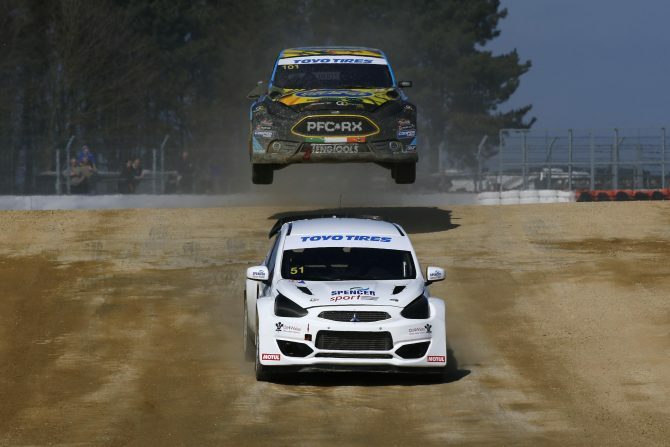 The weather was good and attracted thousands of rallycross fans! Five-time British RX Champion Julian Godfrey (Mitsubishi Mirage) defeated three-time IRX title-winner Derek Tohill (Ford Fiesta), former British RX Champions Pat Doran (Citroen DS3) and Steve Mundy (Ford Fiesta). Julian Godfrey achieved the best results during all three qualifying runs. Derek Tohill was very close to him, who fell in the third qualification by just 0.7 seconds. Steve Hill (Mitsubishi Lancer Evo 10), who after qualifying was in third position, did a great job. Due to the small number of drivers, there were no semi-finals. Godfrey completely dominated the competition! Derek Tohill checked in at the finish line as the second with a loss of 3 seconds. Subsequent drivers finished with more than twelve seconds of loss to the leader. 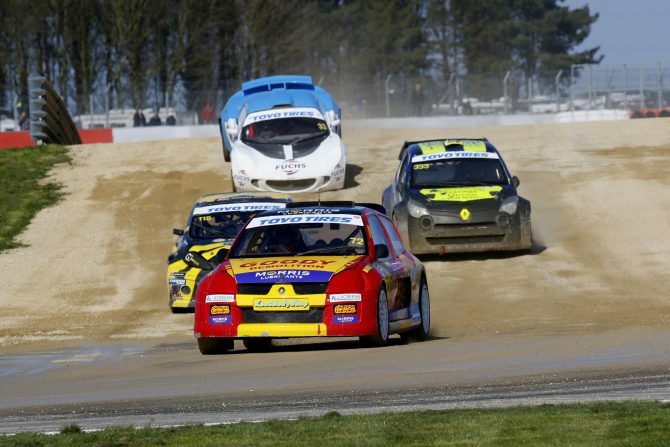 Only 9 SuperNational drivers could be seen on the Silverstone track during the first round of the British RX. Among the group there were also two Poles! Jarek Suchowiecki (Suzuki Swift Sport) and Sławomir Wołoch (Ford Fiesta Mk6). Tristan Ovenden failed during the first qualification. He crossed the finish line as the fourth one. Jack Thorne achieved the best result in Q1, the second was Paige Bellerby (in beautiful Lotus Exige). The situation at the top began to change in subsequent qualifiers. Ovenden came to the fore, winning Q2 and Q3. Jack Thorne was 3rd in Q2 and 2nd in Q3. The final was fully in the Renault Clio V6! Ovenden was on the finish line 4 seconds before Thorne’s Renault Twingo. The biggest unlucky (except Wołoch) was probably Ballerby. After qualifying he held the 3rd position. However, in the final he was only fourth and he wasn’t on the final podium of the round. How did the Poles go? Sławomir Wołoch had technical problems with his car. Turbo stopped working, the driver stood up to an uneven fight with his rivals. Jarek Suchowiecki is still working on his car. During the 1st Round, he started the Suzuki Swift 140 HP, which he borrowed from PGM Suzuki. From the purely sports side it’s very positive feelings. I watched on-boards and I think it was really good. Great weather, super organization, lot of fans and extra track. A really good race. I feel very confident. I hope that I can finally finish my Citroen C2 S1600 for the next round. Krzysztof Kozon competed in the BMW Mini class. He managed to qualify for the final, in which he took the 7th position. Look at these amazing cars! 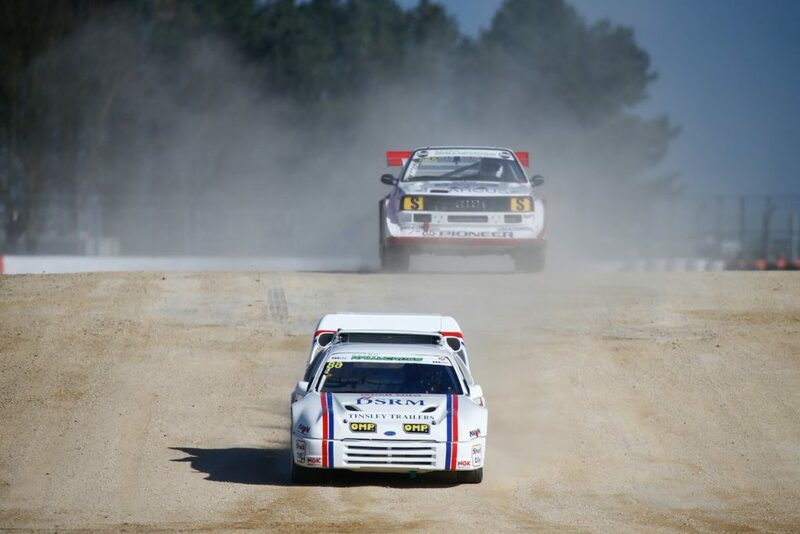 Ford RS200, Audi Quatrro, MG Metro 6R4, Lancia Stratos, Austin Mini, Toyota MR2 and much, much more! Wonderful return to the past during this year’s British RX opening. In the Retro class, Steve Cozens (Citroen AX) was the best, in Retro 4WD Steve Harris (Ford RS200) triumphed, while Super Retro won by Gary Simpson (BMW E30).